Palestinian director Rashid Masharawi, based in Ramallah, converses with a Syrian-Palestinian photographer, Niras Said, from the Yarmouk refugee camp in Syria. The two artists quickly bond over their craft and the importance of film and photos in capturing daily life in a conflict zone. 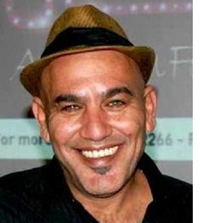 Rashid Masharawi was born and raised in the Shati refugee camp in the Gaza strip and is a self-taught filmmaker. In 1996, he founded the Cinema Production and Distribution Center (CPC) in Ramallah, which organizes workshops to help young Palestinian filmmakers.